I am a HUGE Starbucks fan! I don’t remember when this love started and how it got there! HAHAAA I don’t know if its the frap drinks I am in love with or the very adorable bearista plushies or the very good looking mugs, cups, tumblers… I ended up collecting tons of Starbucks stuffs! I will probably blog later and show what D and I did to “Starbucks” our kitchen. 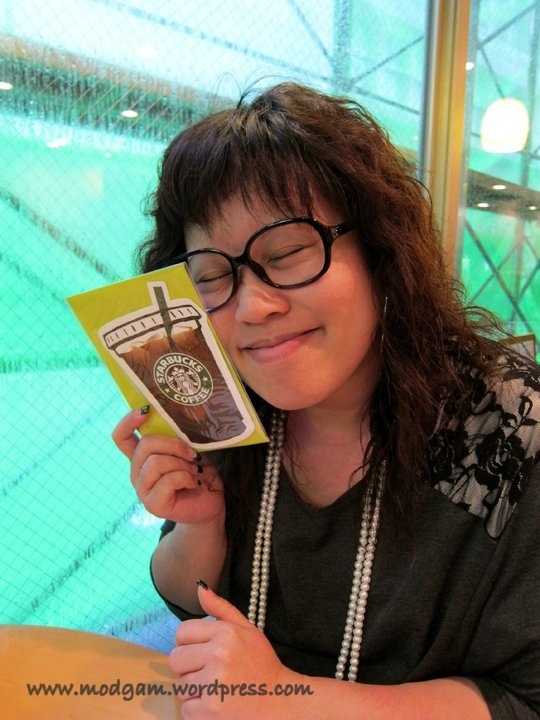 Anyway, Japan has the most unique Starbucks stuffs I’ve seen so far. I bought Starbucks chocolate from Starbucks Korea and an umbrella from Starbucks Malaysia BUT in Japan, I bought almost quite a lot! 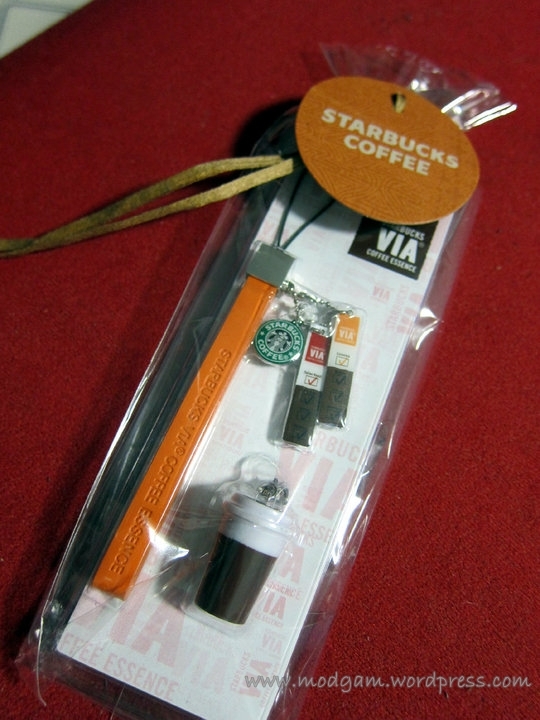 LOL I bought the bag, the stirrers, the mobile straps and a gift card with a coupon for you to claim a cuppa of any size! The The gift vouchers we have here only comes in plain voucher form, theirs come in a card with more writing space and looks way better, making it more appropriate as a gift! Cool no?? For some reason, when it comes to marketing, Japan does it the best. i second that!!! 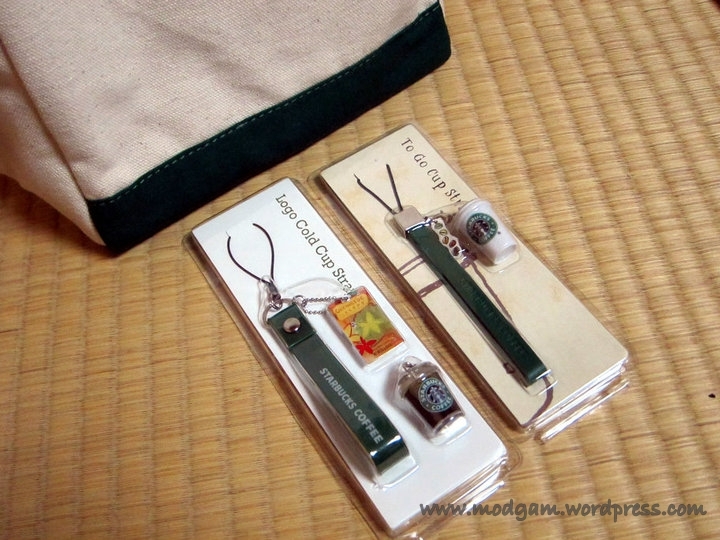 your blog is very interesting and i enjoyed reading your post. thanks for popping by. 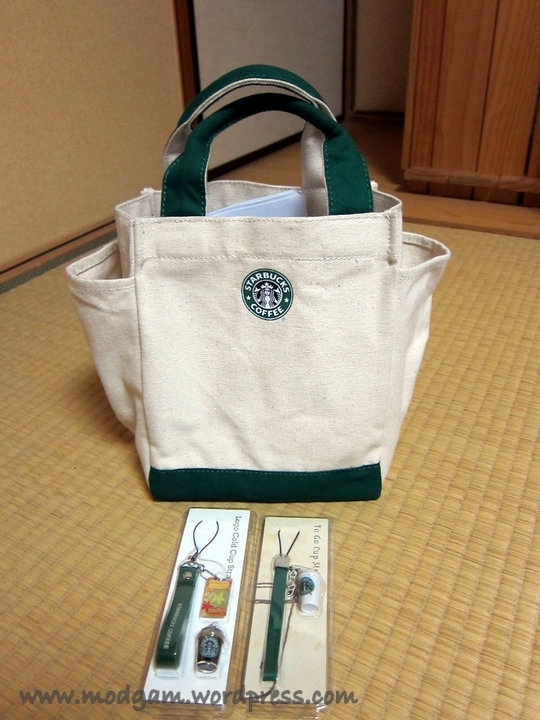 May I noe by any chance d Starbucks canvas bag is available for sale?